Learn how to use C++ code to create basic animated graphics in this chapter from Beginning Game Programming by Michael Morrison. Clear, practical lessons based on C++ programming, the basics of drawing graphics using the Windows Graphics Device Interface. Scratch, the colorful drag-and-drop programming language, is used by millions of first-time learners, and in this book, you'll learn to program by making cool games. Get ready to destroy asteroids, shoot hoops, and slice and dice fruit! Blender is a 3D technology rendering/animation/game development open-sourced freeware program maintained by the Blender Foundation. This tutorial book is designed to get you up and running in the basics of creating objects and scenes and animating. Learn the underlying skills and principles of software development as you design and build your first games for Xbox 360, Windows, and Zune. 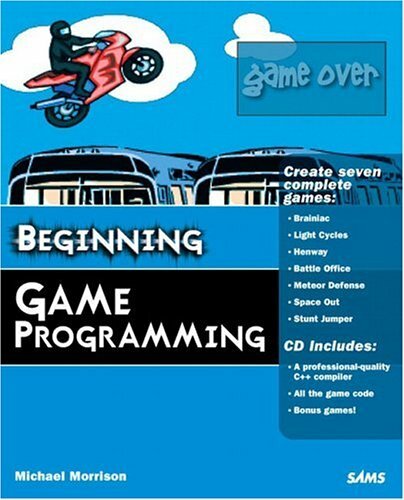 This curriculum teaches the fundamentals of C# programming and the XNA Game Studio framework. So you want to be a Computer Game Developer? If you have the brains, the talent, and the courage to take risks, a career in Computer Game Development may be right for you. The job security and the creative satisfaction can all be yours, but only if you have what it takes to do the job.